We were approached by a local doctor looking to help his fellow medial practitioners deal with the unending level of paperwork and administrative duties. The National Health Services are currently experiencing turbulent times, resulting in the clinical workforce being overwhelmed by the unsustainable workload. 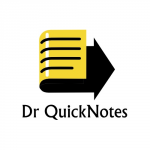 Working with the client we developed a simple-to-use short-cut system allowing doctors and health professionals to key in just a few characters and automatically populate entire pages of standardised notes. For more information please click here to see our case study. As ever, Cass Software is proud to serve our NHS and look forward to working with them again.